Abstract: Recent sustainability education theorists have identified a gap in the research literature regarding sensory entanglement and wonder in sustainability education. Sensory entanglement and wonder are requisite because they bring valuable shifts supporting a more critical and transformative kind of sustainability education by (1) awakening a compassionate connection with the living world, (2) nurturing alternative epistemologies, (3) providing a strengthening function for sustainability educators and their co-learners, for stamina and ongoing engagement, and (4) generating sustainability agency and an active and authentic hope to sustain a sense of the possible in the midst of the dire. This article focuses on how awakening the senses to foster a sense of wonder can nurture grounded, authentic, active hope and agency in sustainability education. It is authored collaboratively by sixteen graduate course participants and faculty co-researchers who discuss interrelated theories pointing to a need to foster senses of wonder in sustainability education. The researchers work in research teams to explore experiential and sense-based hope- and agency-building curricula. Findings include activities and reflections across the five senses as well as with the sixth sense, intuition. Sensing, listening, intimate observing, imagining, feeling, entangling, and wondering can shift unsustainability epistemologies and transform human and cultural engagement. The sense of sound can be immersive and resonant, lending learners to relational and multispecies sensing. Scent can catalyze wonder and inspire experiential, holistic growth and integration of time. Savoring in the sense of taste can extend learners from survival to joy, offering opportunities for mindfulness that can connect cultural and biocultural mutualisms and collaborative sustainability agencies. 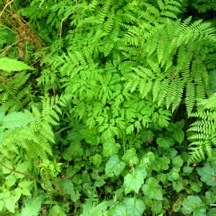 Pattern sensing for similarity using the visual sense of wonder can support connected knowing and ecological vision. The sense of touch can offer a continuous and mutual comfort and belonging. Visual pattern and texture scavenger hunts can cultivate these sustainability sense capacities. The sixth sense, intuition, opens learners to imaginative, transformative, and connective ways of knowing as place and planet, stimulating hope-giving, integrative sustainability agencies. on whose behalf we act. 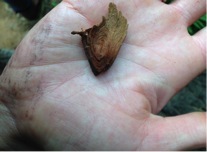 Williams and Brown (2012) have identified fostering curiosity and wonder and awakening the senses as two of seven key strategies in sustainability education for reorienting the mechanistic quality of current pedagogical approaches, thereby “transforming consciousness…toward ecological partnership models” (p. 21). This article focuses on how awakening the senses to foster a sense of wonder can nurture grounded, authentic hope and agency in sustainability education. In this article, authored collaboratively by sixteen graduate course participants and faculty co-researchers, we offer grounding theories establishing a framework for learning senses of wonder in sustainability education, describe our experiential and sense-based exploratory methods, and then detail our findings including activities and reflections across the five senses as well as with the sixth sense. This project marks the culmination of an education graduate course in Sustainability Education at Portland State University in the spring of 2015 and has a companion website, www.sensesofwonder.org. Sensory entanglement and wonder are requisite because they bring valuable shifts supporting a more critical and transformative kind of sustainability education by (1) awakening a compassionate connection with the living world, (2) nurturing alternative epistemologies, (3) providing a strengthening function for sustainability educators and their co-learners, for stamina and ongoing engagement, and (4) generating sustainability agency and an active and authentic hope to sustain a sense of the possible in a time of sustainability crisis. Recent scholarship has leveraged relational, embedded sensory embodiment that opens access to wonder, hope, and imagination. These embodied wonder approaches have fostered education for and as sustainability and nurtured an enduring, collective, agentic engagement. Judson (2015) confirmed how “a deeply rooted sense of wonder” (p. 206) sparks ecological understanding via relatedness and interconnectedness, thus fostering a sense of care, emotional engagement, imagination for new cultural possibilities, and wonder to sustain reciprocal action with sustainability possibilities (pp. 206-207). Awe and wonder awaken and encourage caring. Carson (1998) pointed out the importance of arousing an emotional connection through the senses to the beauty and excitement of nature, which will set a child on a path to discover the knowledge to give those emotions meaning. “If facts are the seeds that later produce knowledge and wisdom, then the emotions and the impressions of the senses are the fertile soil in which the seeds must grow” (Carson 1998, p. 56). Macy and Johnstone (2012) found active senses and a sense of wonder key to cultivating what they term “active hope” (pp. 2-3, 35). As described in the opening quotation, these scholars committed to sustainability agency found that embodiment and connection with the larger cycles and circles of life, which they described as “a wider sense of self” (p. 91), helped create space for learners to feel their own pain for/with/as the world (pp. 77-81) and also enabled learners to interconnect without merging (p. 92), to undermine affluenza (pp. 91-92), and to restore a connectedness with larger sources of strength (pp. 93-94). A sense of wonder, through opening up learners to this wider sense of self, sometimes also called the ecological self, provided resilience and strength (Judson, p. 206; Macy & Johnstone, p. 94). The work of looking and acting instead of denying required such strength and resilience. Recent research findings confirm this statement by showing that experiencing awe results in an increase in ethical decision-making, generosity, and prosocial values (Piff, Dietze, Feinberg, Stancato, & Keltner, 2015). Carabajo (2012) urged us not to ignore the subtle and intimate connections between hope and wonder (pp. 144). Frederickson (2009, para. 5) and Jacobs (2005, p. 800) both reminded us of the ability of hope to open us up, to help us reclaim agency, and collectively imagine and create a better future. Sustainability education that opens space for this wonder can be a very powerful catalyst for hope and agency. Senses of wonder open up hope and agency in ways that are authentic, grounded, connected, and imaginative. The senses of wonder awaken the imagination, and imagination is critical for active hope, for possibility thinking and futures thinking. “Hope makes the leap for us between critical education, which tells us what must be changed; political agency, which gives us the means to make change; and the concrete struggles through which change happens” (Giroux, 2004, p. 38). In this way, the senses of wonder catalyze transformative visionary-activists who sense and change paradigms and possibilities as much as sense via primary senses. Sensing, listening, intimate observing, imagining, feeling, entangling, and wondering can shift unsustainability epistemologies and transform human and cultural engagement with/as the world/Earth. Selby and Kagawa (2015) established a gap in the research literature regarding sensory entanglement and wonder in sustainability education. Their research argued that this sensory entanglement and wonder could bring three valuable shifts requisite to a more critical and transformative kind of sustainability education, by (1) nurturing an alternative epistemology that is critical and transformative, (2) providing a strengthening function for the sustainability educators and their co-learners, for stamina and ongoing engagement, and (3) generating an active and authentic hope function to sustain a sense of the possible in the midst of the dire. Williams and Brown’s (2012) research and framework on learning gardens and sustainability education reinforced these critical functions for awakened senses, wonder, and hope in sustainability agency. Williams and Brown countered seven deficiencies of industrial education with seven key principles of sustainability education, which they found evidenced in learning gardens. They extensively researched how fostering curiosity and wonder (Principle 2) and awakening the senses (Principle 7) helped innovate a pedagogy that brings schools to life and that could counter the deadening and de-activating effects of mechanistic and unsustainable educational approaches in which the student is passive and the learning is focused on mental activity rather than full embodiment and agentic capacity (pp. 46-48). They found these sustainability education principles of fostering wonder and awakening the senses to be interconnective, catalyzing understandings of interdependence, part of a process of somatic empowerment, and subversive to mechanistic education. These informing theories fold into a model of sustainability agency. Rich sensory experience and a sense of wonder are a requisite part of building sustainability agency. Selby and Kagawa’s (2015) critical and transformative senses framing of wonder and hope for sustainability education as well as Williams and Brown’s (2012) framing of sensory awakening and the fostering of curiosity and wonder both fit well with Heft and Chawla’s (2005) model of sustainability agency. Heft and Chawla (2005) offered a four-fold model for sustainability agency, including learning connected to affordances promoting discovery (in other words, direct immersive experiences supporting interconnected relationality) with access and mobility for students to engage, companioned with facilitated participation, connected to opportunities for community-based action (pp. 202-206). Heft and Chawla emphasized the importance of “primary or first-hand experience” in which the student “encounters a dynamic, dense, multisensory flow of diversely structured information” (p. 209) as part of this process of developing sustainability agency. This resonates with Goleman, Bennett, and Barlow’s inclusion of the experience of wonder in learning interdependency and interconnectedness in community and cooperative learning contexts as one of the key practices of emotionally and socially engaged ecoliteracy (2012, p. 10). The current research on senses of wonder fits within this emergent framework of sustainability agency. It aims to help fill a gap in the literature of sustainability education. In sum, sustainability education lacks sufficient attention to somatic, embodied, imaginative, entangled, and sensory dimensions of experience and learning. It does not pay sufficient attention to awakening a sense of wonder. By not paying attention to the senses and wonder, sustainability education misses its capacity to undermine mechanistic models and to drive critical and transformative change. This is a problem because sustainability agency requires immersive embodiment and the ability to feel and sense deeply and to feel wonder as part of a process of learning to effect change. Furthermore, a deep sense of wonder nurtures active, authentic, and grounded hope. Wonder’s widening of the sense of self and strengthening of resilience can sustain these critical and creative capacities and can sustain active hope and sustainability agency. This research hopes to help fill the gap and foster a deeply critical and transformative sustainability education that creatively entangles senses of wonder to develop active, authentic, grounded hope and persevering sustainability agencies. The exploratory research undertaken in this essay explores connections and develops initial descriptions and examples of relational, “dynamic, dense, multisensory flow” (Heft & Chawla, 2005, p. 209) to nurture active hope and sustainability agency. There is some focus on the senses in educational research (e.g., Auer, 2008), including as a methodology, but as Selby and Kagawa (2015) pointed out, more is needed, particularly in sustainability education contexts. In order to connect the senses to support activities of active hope and sustainability agency, each of the main senses within the senses of wonder was explored by a small group within the total research team. Methods used included creative curation and original generation inspired by a review of the curricular literature within the frameworks described. The materials developed are intended to be exploratory and descriptive rather than proscriptive or comprehensive. That the activity might be adapted to be effective with learners of different ages, in both formal and informal learning contexts. Additionally, the selection process was based on literature review of sustainability education material on a particular sense, other forms of educational research on that sense, and a heuristic from each research team’s experience. The decision-making process for selection of educational practice examples was consensus within each team. Each team selected their own way of exemplifying the exemplar practices. In some instances this included self-application or reflection on the practice. The research teams were motivated by a pedagogy of generosity. They were driven by a desire to address the gap in the literature regarding sustainability education and sensory routes to experiences of wonder as part of sustainability agency. Their key intention was to specifically address the call from the Journal of Sustainability Education regarding hope and sustainability agency. Their intended audience was other sustainability educators, and their desire was to offer specific tools and exemplar activities to bring new practices to life. A faculty-graduate student team synthesized the findings from the six different sense research teams, generated and refined the theoretical frameworks, and articulated the introduction, literature review, methods, and conclusions for the work. Overview. The products of this collaborative effort reflect the depth and breadth of theory, practice, and possibility in the senses of wonder for sustainability agency and hope. The sense of sound is immersive and resonant, lending learners to relational and multispecies sensing. Listening ceremonies, bird language, rainstick-making, and auditory environmental mapping over time can open learners to soundscapes, senses, and the vibrant vitality of embodied relationality. Scent can catalyze wonder and inspire experiential, holistic growth and integration of time, for example through keeping scent memory journals. Savoring in the sense of taste extends learners from survival to joy, offering opportunities for mindfulness that can connect cultural and biocultural mutualisms and collaborative sustainability agencies. Pattern sensing for similarity using the visual sense of wonder can support connected knowing and ecological vision. The sense of touch offers a continuous and mutual comfort and belonging. Visual pattern and texture scavenger hunts can help cultivate sustainability sense capacities. 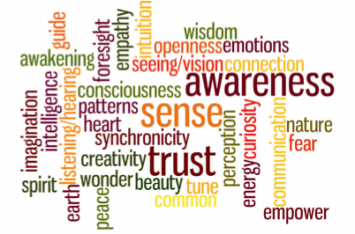 The sixth sense, of intuition, opens learners to imaginative, transformative, and connective ways of knowing as place and planet, stimulating hope-giving, integrative sustainability agencies. Lead the class into a natural setting — even just the schoolyard if that’s what’s available. Wear audio recorders with headphones if possible, if not, have the students carry notebooks to jot down what they hear. If one student carries the microphone, have another one wearing the headphones as you walk together. Let the silence sink in – this should be at least a fifteen-minute slow walk to try to note whatever sounds they can hear. As I think about how the sense of sound can be used to awaken the innate wonder that we all have (or had at one point in our lives) about the natural world that surrounds and supports us, I think about wave patterns surrounding us in the ether, vibrations that echo throughout ecosystems while tiny filaments on tiny leaves pick up the sound and pass along the message to roots and rhizomes and water sources which vibrate along down below. The sounds that surround us in the silence of the woods, if we can re-learn how to listen, are sounds that can return us to a sense of place on this planet. We can learn from teachers like the Huaorani people of the Amazon rainforest who have developed an acute sense of hearing, even at great distances. Sound is everywhere, and our ears in the cities are deafened to the intricacies of it all, as we have become so accustomed to blocking so much of the ‘background noise’ out of our heads. Reawakening our sense of sound provides an opening to the wonders of the world around us. To feel at home I can escape into the dry backcountry where the purple wild flowers grow across rolling hills of dry grasses; Oh California — you dreamscape of memory. My younger brother and I would go gathering these wild flowers amid the grasses. As soon as you bent down to pick one, you’d disappear from sight. Sometimes I would fully lie down and stare up at that big blue yonder. My sense of play would shift from my eyes to my ears. The grasses waving above me swaying to warm breeze; the birds — gnatcatcher, quail, morning-dove, and the black-birds caw; the trill of that familiar bug whose sight I wouldn’t recognize and whose name I didn’t know, but whose sound was synonymous with this space. A plane would pass overhead, unseen intermittent patterns. The power lines’ incessant humming acted as a compass point orienting my sense of place. That whole area, except the power lines, are tract-homes now. And returning there, many years later, I feel as though I can’t find my home, that there is nowhere left to hide. Still, I must try. I close my eyes and let my ears orient me. The birds seem different, the bugs too, but there are still children at play in the streets and in the yards weaving their growth into place beneath the distant hum of power lines. Languages, like geography, evolve — as must the song of soundscapes. My sense of sound is most alive while walking in the woods, the crushing of pine cones under my feet, the different songs and calls of birds as I begin the trail, the slow trickling of water as it cascades over rocks, the elegant wisping of leaves in the wind. Recently, while in the woods, the sound of the water invited me to sit on top of a log crossing the stream. While laying on the large, moss covered tree, my attention was quickly drawn to the song of a particular bird. I decided to sing back to its beautiful call. It ceased its song, but after a short break, it continued again with a different pattern. I am not sure what this difference was, but every time I sang, it responded to my sound vibrations and it felt like we were all of a sudden in a woodland duet. It was the first time I recognized a bird’s response to my energy in the forest. I reflected on the idea that we are all interconnected through our consciousness and awareness. My sense of wonder is piqued by how we all subconsciously respond to one another — not only in wild, natural settings, but in urban environments as well. These reflections exemplify the immersive quality of sound and point to how many emotions, memories, and connections to the world around us can emerge by simply listening in silence. The activities outlined above can help educators trying to open students up to such experiences. Soundmapping the area, creating sound instruments, journaling, and simply listening deeply can connect learners to a sense of place and a sense of themselves within their environment. As our experiences as educators carrying out these exercises demonstrate, reflecting back on one’s memories of sound in the landscape can bring back a sense of wonder that has, in some cases, been latent or dormant for years. So how can we welcome wonder back into our lives? How can learners be inspired to embrace what Selby (2010) calls the “decidedly non-measurable ways of knowing and ways of connecting to the world-such as attunement, awe, celebration, enchantment, intuition, reverence, wonder, and the oceanic sense of connectedness” (p. 45-46)? The senses can act as catalysts to re-inspire wonder in learners by uniquely and intimately providing the elements of experience. Though inextricably linked, even when explored individually, each sense can open learners up to what Williams and Brown (2012) call “bodily ways of knowing” (p. 148). The sense of smell, specifically, can play a powerful role in evoking emotions and memories (Holloway, 1999). Though science has recently confirmed the connection, lived experience has long understood that “the sense of smell, almost more than any other, has the power to recall memories, and it is a pity that we use it so little” (Carson, 1998, p. 83). When attuned, “scents bring memories of life-stories — of place and communities” (Williams & Brown, 2012, p. 150). This emotional and storied aspect of scents can be used to encourage learners to explore and reconnect to memories of awe and wonder. By honoring the often overlooked sense of smell, learners can be re-inspired and opened up to new ways of knowing and wonder. Similar to the environmental autobiography activity suggested by Corcoran (1999), which prompted students to recall and write about their first connections to place and how natural settings shaped their lives, a scent memory journal can be a powerful way to encourage learners to explore the connections among scents, memories, and wonder. Resonant with the attention-opening capacities of the savoring and slowing of the sense of taste, the sense of vision has the capacity to connect, open, sustain, and inspire action. Sight, for this project, can be defined as an awareness of the physical surroundings outside of one’s body sensed through looking. Typically perceived through vision (though this perception can be gained through other senses), the outside world presents itself to us, through shape, line, color, and contrast. Using our sense of sight to observe, notice, recognize, and analyze our surroundings can support our journey through building ecoliteracy and an activated sense of wonder and hope. In the past year, one of the authors of this research team (hereafter “I”) has become inspired by the concept of ecofractals (Hauk, 2014), the different kinds of patterns found at different scales in nature. The different forms include flowing, as found in watershed systems and rivers, branching, such as trees and leaves, and cracking, as found in mountain ranges and rock formations. Once I learned about these concepts, I am unable to escape them. When I go hiking outside of the town I live in, Portland, Oregon, I am amazed by the patterns, shapes, colors I come across and the different scales in which they are present. This happens when I find the repeating patterns of ferns and other plants, where the leaves mimic the shape of the entire plant, or when I find a tiny cube-like rock, and look up to find a cliff with giant, blocky outcroppings. Figures 1 and 2. 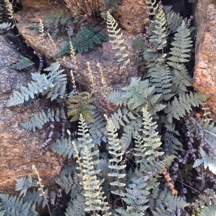 Branching Ferns with different colors and tones yet similar shapes, from (Figure 2) the Sonoran Desert outside of Tucson, Arizona and (Figure 3) the Central Willamette Valley outside of Salem, Oregon. Photographs by co-author Katelyn Hale, 2015, used with permission of the artist. In the dominant culture in which I live, I can find these repeating patterns, too. Rectangles are everywhere; the computer, books, and phone I use are rectangles, and my backpack was designed in a rectangular shape to fit them all inside. Once we open our eyes, both metaphorically and literally, we can recognize the patterns existing in our world. Sight is possibly the most overworked sense in the United States’ digitally-driven culture. We use our eyes to read, watch, look, and scan, all to absorb and consume information at high rates in order to complete a task or gain entertainment. This is usually considered necessary for a successful lifestyle. A shift towards ecological literacy requires a subtle shift in awareness towards using sight to observe, recognize, and analyze. Sewall (1999) echoed Goethe’s method for developing organs of perception through intensive observation of the patterns of becoming that “reanimate the world with meaning” and greater wholeness that is imaginative, associational, emergentist, and metamorphosing (pp. 148-150). Sewall found that “the world is made richer and denser by our patterned visions” (1999, p. 151). When one uses a sense of sight to observe shapes and recognize patterns, the larger world becomes more known and one can deepen their sense of place. On a recent hike, I saw cracking in a burnt Doug Fir snag, and then noticed how those shapes are echoed in my handprint (Figures 3, 4, and 5). Figures 3, 4, and 5. Recurrent ecofractal patterns of cracking echoed in (Figures 3 and 4) a burnt Douglas Fir snag and (Figure 5) artist’s handprint. Photographs, 2015, by co-author Katelyn Hale. Used with permission of the artist. Take 5-10 minutes to observe the different shapes and/or patterns in your surroundings. Are you inside of a building, in a streetscape, or in a landscape? Time yourself and record as many shapes as possible, making a sketch of each. Even if these shapes seem weird and you do not see a pattern, record that too; you might find an overarching pattern later. Notice these shapes on different scales, from the size of one’s thumbnail tothe size of your bioregion. Advanced: if you are doing this for a second time in the same place, you could search for the answers to the following questions: Of what are the things surrounding you made? What colors are prevalent? What functions do you observe? When time is up, what patterns emerged for you? If each group of patterns had a title that was representative yet not limiting, what would you title each group? How do you think these larger patterns affect how these things work? Why are these shapes and patterns so prevalent? What does that mean? This complex system of receptors allows us to read our three-dimensional environment through a simple touch. Our skin becomes a vast field of information that helps us map out our surroundings, and enables the world to be our playground of textures (Ackerman, 1991). Place Visit: Attention to Touch. At your place, eyes closed: Begin touching — the bark of the trees, the soil, rocks. Remember that as you touch, you are being touched. Try touching with different parts of your body: your hand, the side of your face, your lips, bare feet, and your back. There are receptors for light touch, deep pressure, temperature, vibration, and pain in all parts of your body. Add vision to your experience of touch and movement; notice that the motor impulses to change attention are also movement (20 minutes). Write about your experience (10 minutes) (Olsen, 2009, p. 68). Scavenger Hunt for Textures. Activity adapted from Reimer (2013, para. 1-14). Figure 6. Word cloud of dimensions of the sixth sense of intuition and how it relates to a sense of wonder and hope in sustainability education. Size of words indicates amount of connection to other concepts and frequency in team ideation on this topic. Diagram original to this research. this world. It is the energetic sense that has the ability to guide us if only we take the time to listen. Intuition is the ability to sense or know immediately without reasoning. 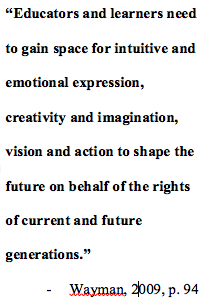 Hitt’s poem suggests connections to expanded relational consciousness through intuition and how this consciousness can nourish “upwelling vitality” and “focused intelligence” with other species to generate a hopeful presence and energy to “work… on behalf of Earth.” Cultivating intuition through subtle noticing and imaging can help open these capacities. Relational, sustainability perception and intuition via each of the senses cultivate action and resilience. This essay reflects how exploratory curricular research to extend the senses of wonder can fill a gap in critical and transformative sustainability education. Engaging and entangling with the sensory and nurturing a sense of wonder are key parts of the process of catalyzing sustainability agency and sustaining hope. Engaging the senses of wonder within the larger contexts of critical and transformative education for and as sustainability agency (Selby & Kagawa, 2015) are consonant with Heft and Chawla’s model for providing facilitated engagement in the context of community action to exercise agentic capacity built by immersive and dynamic, sensory wonder (2005). The senses of wonder can be powerful catalysts for active hope and sustainability agency. The senses of wonder can be hope-healers, agency-activators, sustainability sanctuaries, care-kindlers, possibility-imaginers, resilience-regenerators, immersion-extenders, kindred-connectors, and emotion motivators. With the senses of wonder, learners are connected and stretched, expanded into larger emergence, relationality, embedment, and connection that offer resources for endurance, resilience, and hope. The limitations of this exploratory research, by the nature of its stage, include its development of suggestive possibilities rather than evidentiary confirmation. Further directions could include designing research to explore in greater detail the possible links between the activities outlined here and the senses, wonder, hope, and agency. Further research could also explore the possible sense-specific authentic hope and sustainability agency effects of such activities. In this time of seeding out transformative sustainabilities, cultivating our capacities for awe and wonder are ancient cultural technologies of slow, lively, mindful, and care-ful perception, immersion, and savoring that open up learners and activists to relational, mutual, embodied, embedded, and biocultural hope, action, flourishing, and caring. Senses of wonder can inspire and sustain collective agencies and authentic engagement with regenerative, somatic presence. These possibilities can be further explored at sensesofwonder.org. We look forward to hearing how you and your co-learners catalyze sustainability agency through these and other senses of wonder. Statement of Conflicts of Interest and Funding: There are no author conflicts of interest. No grants directly funded this project.